I used to see scarves as the "in thing" for senior citizens. It was like their accessory du jour. But now that I'm slowly turning into one as well (hahaha,jk), I'm beginning to realize how much of a necessity it is for moms, travelers and PEOPLE IN GENERAL. Yes, even men. 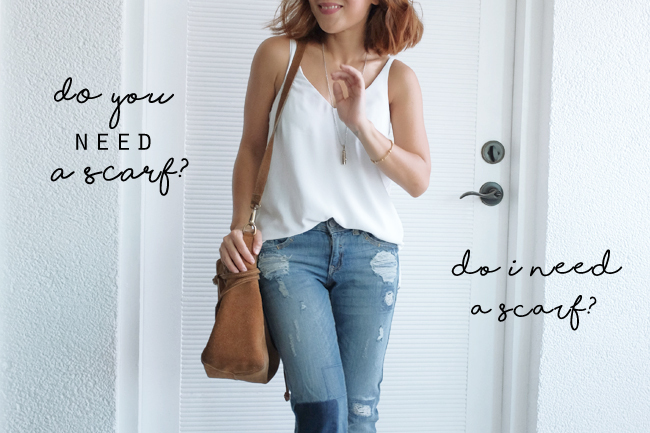 So Do you need A scarf? Do I NEeD a ScarF? Yes! We all do. WhY? You can use as a tourniquet! As a dress, swimsuit cover-up, kimono, headscarf, tube top, etc etc etc! Layered outfits ALWAYS look more interesting than those that aren't. With El Niño fast approaching, it's gonna be impossible to do that without fainting under extreme heat! Yes (!). Don't be a fashion victim! 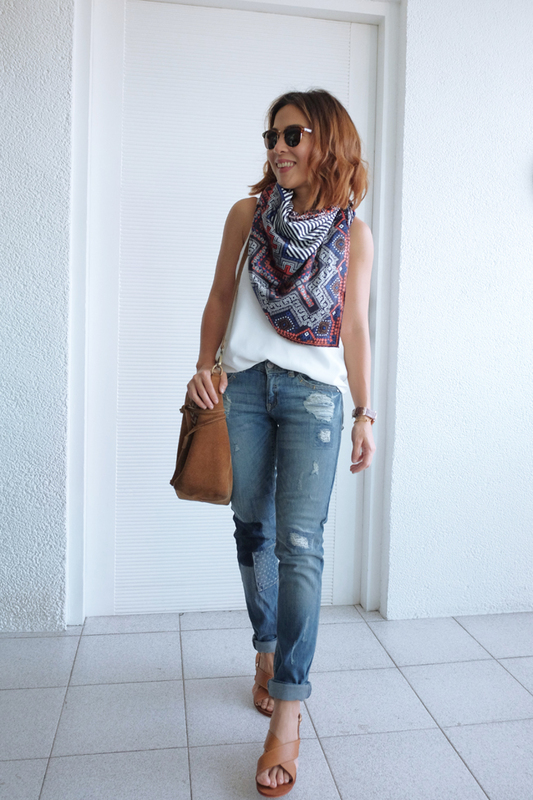 (LOL) Temporarily replace layering with sweaters and blazers for scarves!